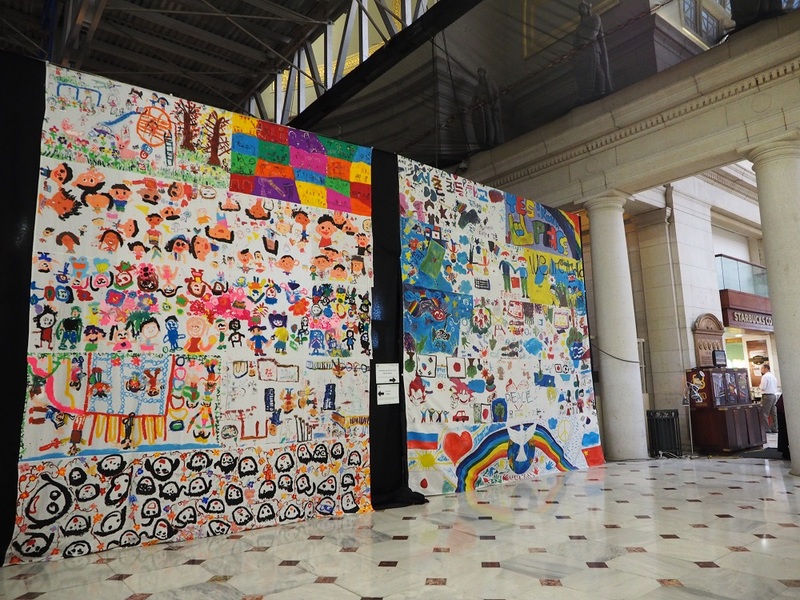 The Biggest Painting in the World 2013 Washington D.C. Exhibition was held at the Union Station, Washington DC, in which the paintings by the children of kindergartens in Kobe were displayed. 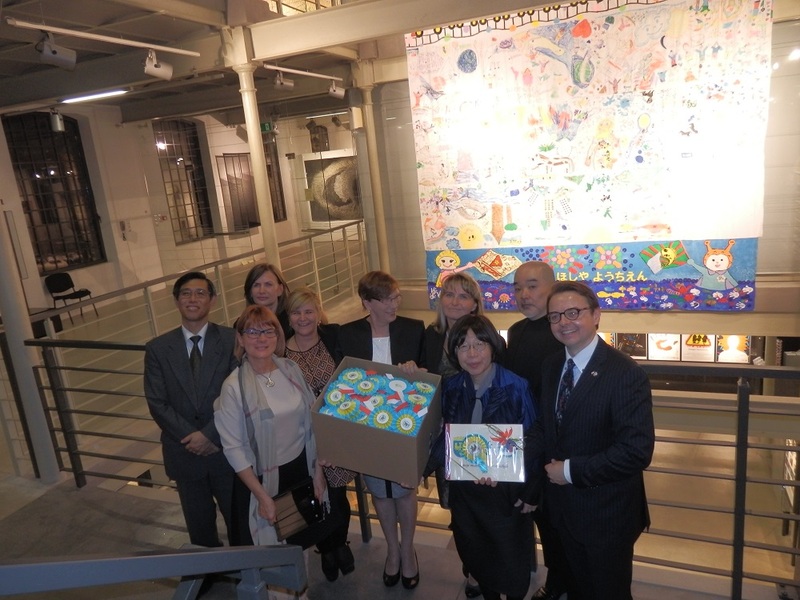 Completed “the Biggest Painting in the World 2020 Poland and Japan”, by stitching together the paintings by the children of Ashinome-Hoshiya Kindergarten painted on Sept.9, and by Polish children painted on Oct. 11. The completed painting will be exhibited at Japan Day to be held at Lodz Central Textile Industry Museum in Lodz, Poland. The presentation received the honor of attendance by VIPs of Lodz city, the charge d’affaires of Japan in Poland, a group of traditional Karate students, and Ms Junko Koshino who is in the city for the Fashion Week. 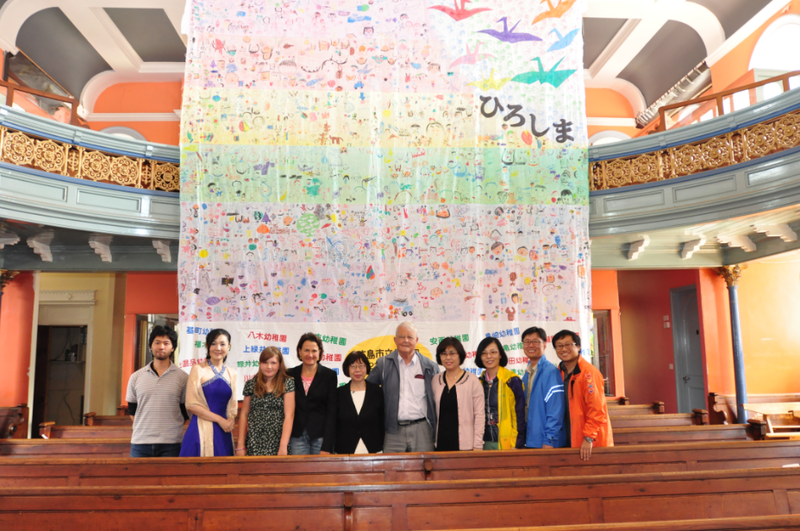 On August 5th, we held the Pre-event for Hiroshima Peace Memorial Day at St Mellitus Church with “The Biggest Painting in the World 2012″.Mr. Steven Leeper, Chairperson of Hiroshima Peace Culture Foundation, introduced us Bruce. Bruce and his wife, Big Mama and her husband, Mr.